This is why we have a vegetable garden. It’s not the easiest or even most economical way to procure produce, but it sure is rewarding. 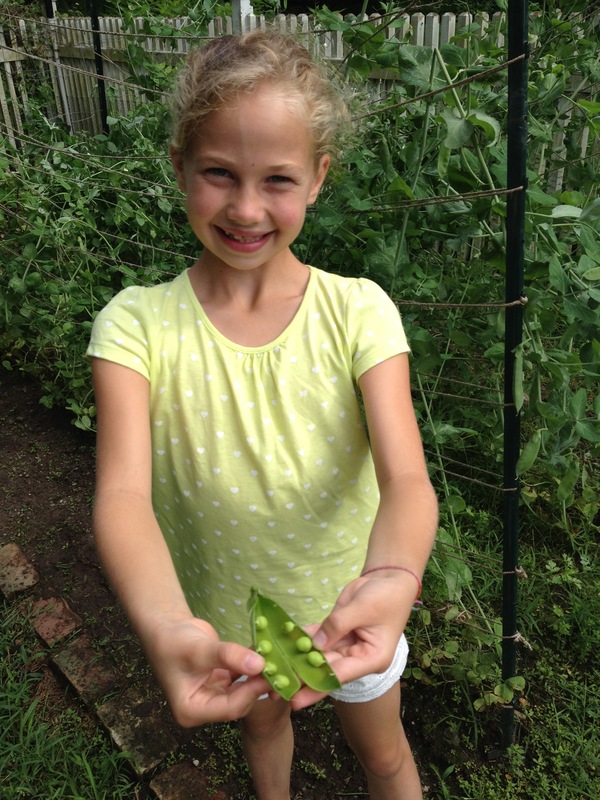 Only two months ago, Sophie planted these ‘Tall Telephone’ peas in our 20′ x 24′ garden. Today she reaped what she sowed. Quite an accomplishment for an 8-year-old! Sophie planting pole peas in mid-April. 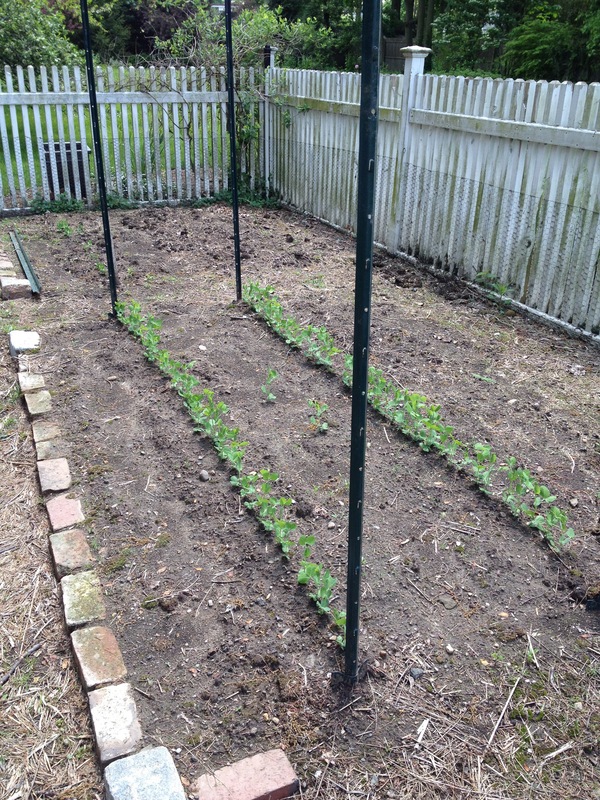 Garden gurus say to plant peas on St. Patrick’s Day, but it was too cold for us then. 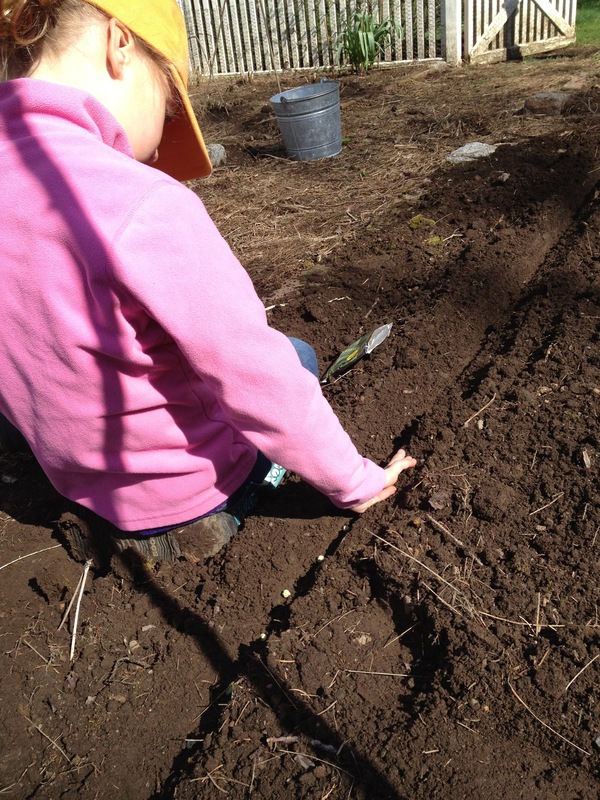 We made shallow planting trenches by pressing a garden stake into the freshly tilled soil. Soon – too soon! – the little pea shoots emerge. I hadn’t yet attached the trellis netting for the peas to climb, so I made do by wrapping the stakes with garden twine. This worked OK but not great; next year I’ll make sure to have the netting on hand before the peas are ready to climb. It’s great to know where your food comes from. Local readers – you can still experience the joys of gardening even if you don’t have a garden of your own. 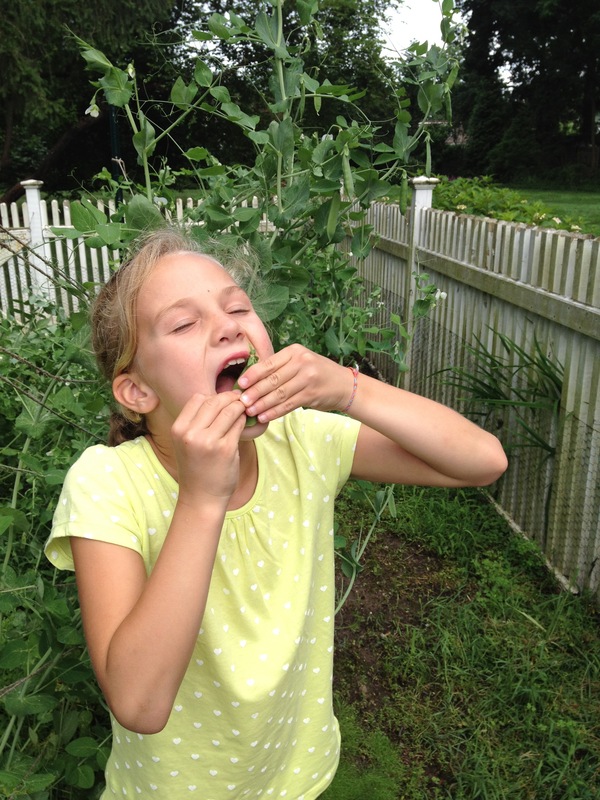 Check out all the hands-on activities as well as farm stand sales offered by our friends at Grow It Green Morristown. 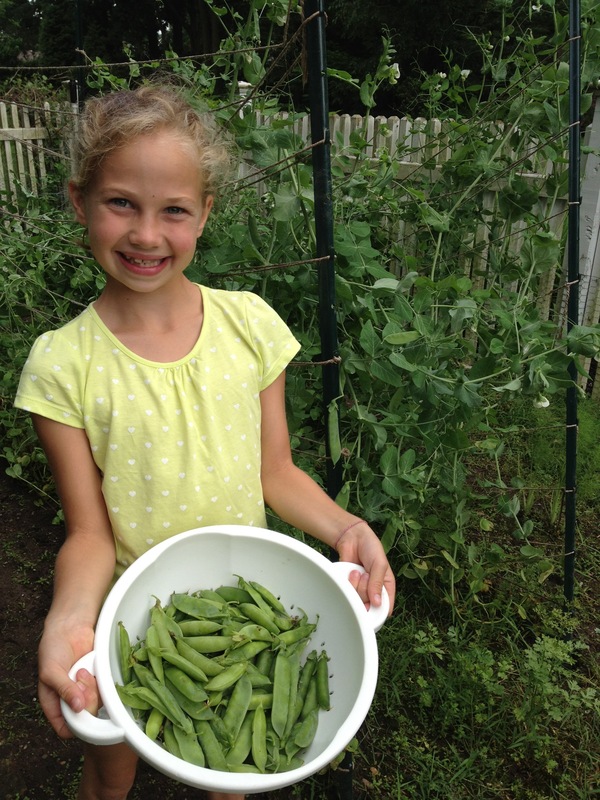 This entry was posted in Gardening, Kids & Family, Local, Vegetables and tagged gardening, gardening with kids, Grow It Green Morristown, growing peas, organic gardening, vegetable gardening by subeeskitchen. Bookmark the permalink. The fence alone will take years to pay back- plus there’s the cost of materials: organic soil builder, stakes, salt hay, seeds, etc. It all adds up! Worth it, though.